Website: Hop to the Movies! Join us the day before Easter, April 20, for a fun family event! 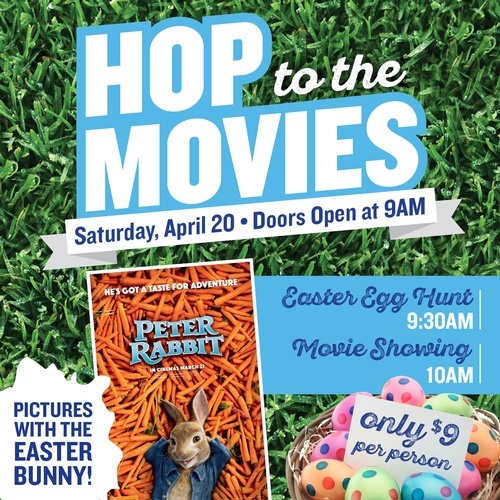 - Easter Egg Hunt - Begins 9:30 a.m.
- "Peter Rabbit Movie Showing - Begins 10 a.m.
Purchase your tickets now, before they sell out! Come on out for a wonderful spring event.